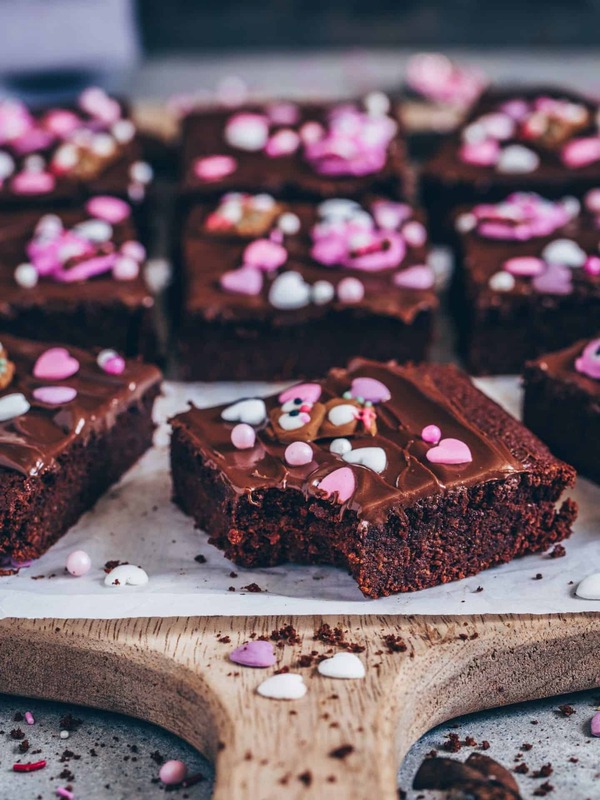 Easy vegan brownies made with simple ingredients in only 20 minutes. They’re delicious, moist, rich with chocolate flavor and perfect for any occasion. 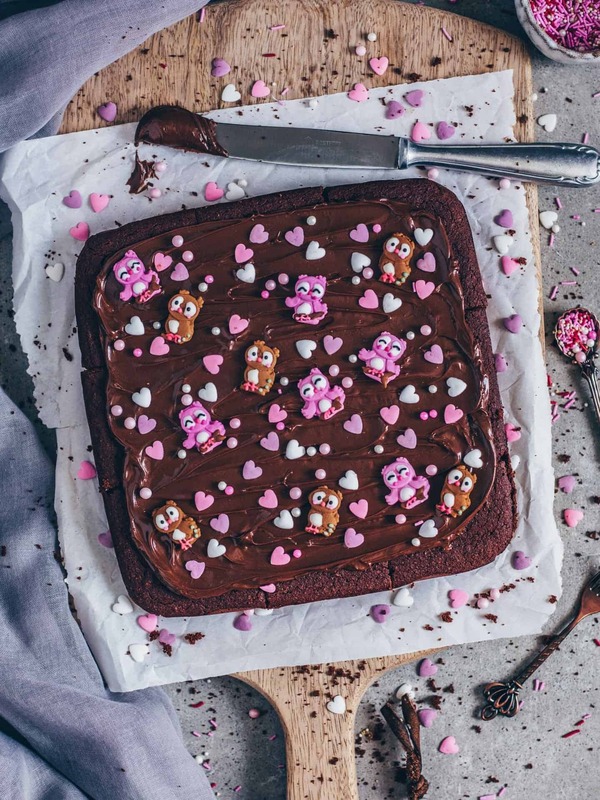 For any reason, I couldn’t imagine the world without chocolate or chocolate cake! 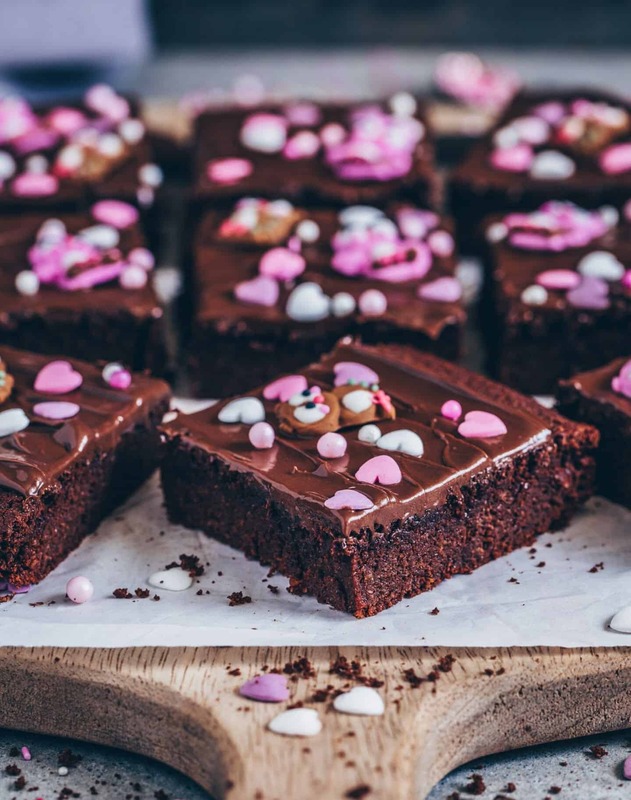 I mean, you can never go wrong with chocolate – no matter if for dessert or just as a snack during the day or even for breakfast. If I don’t have much time, I also like to make a simple 5-minute chocolate mugcake or some easy vegan crêpes with chocolate filling. 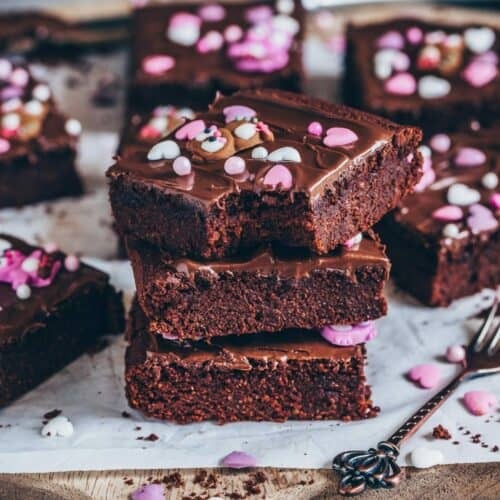 Vegan brownies are easy to make and absolutely delicious! 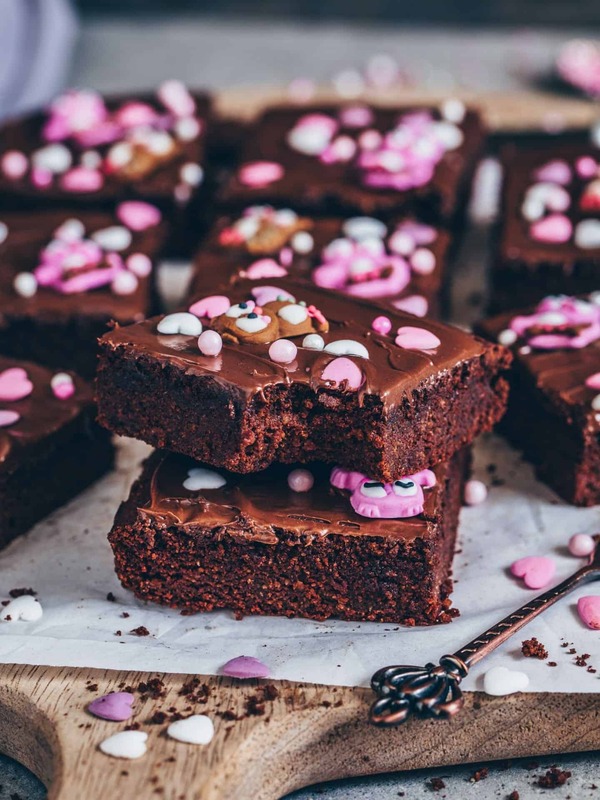 This recipe for vegan brownies is absolutely amazing and a perfect lifesaver for any situation you crave chocolate and devour a sweet chocolate treat. They are intensely chocolatey, rich, fudgy and soft with a beautifully tender crumb. 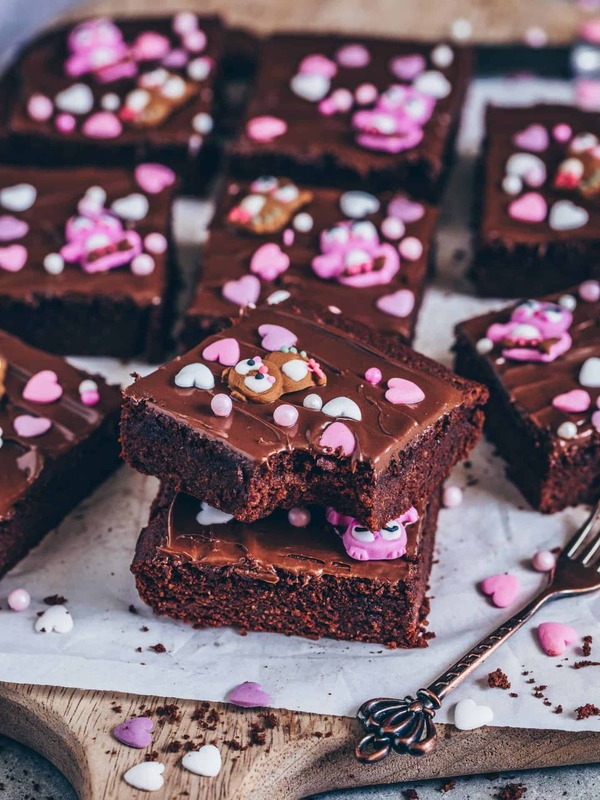 Trust me, making these vegan brownies is the best decision ever! Not only they are super easy to make, but I’m actually convinced that this recipe is also definitely fail-proof, so it will never let you down. 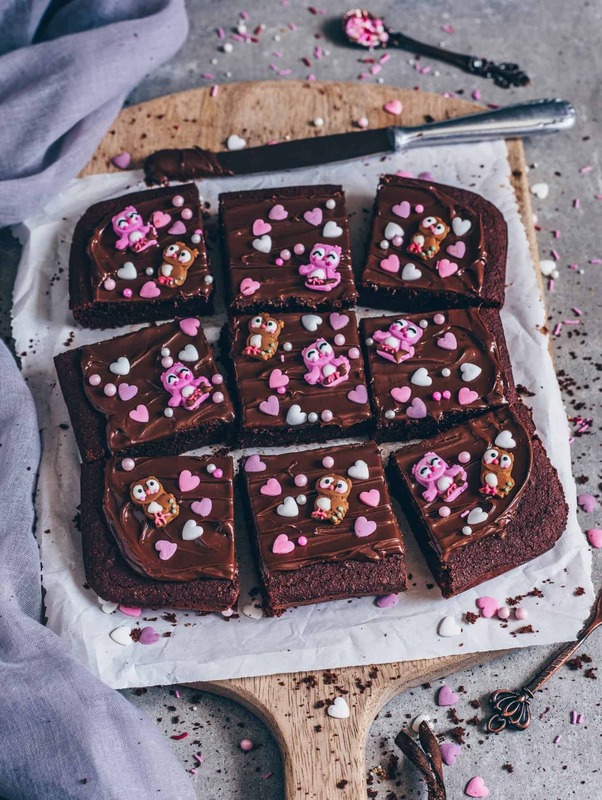 No one will ever suspect they are vegan and even healthier than other brownies, because they taste like classic homemade chocolatey brownies! 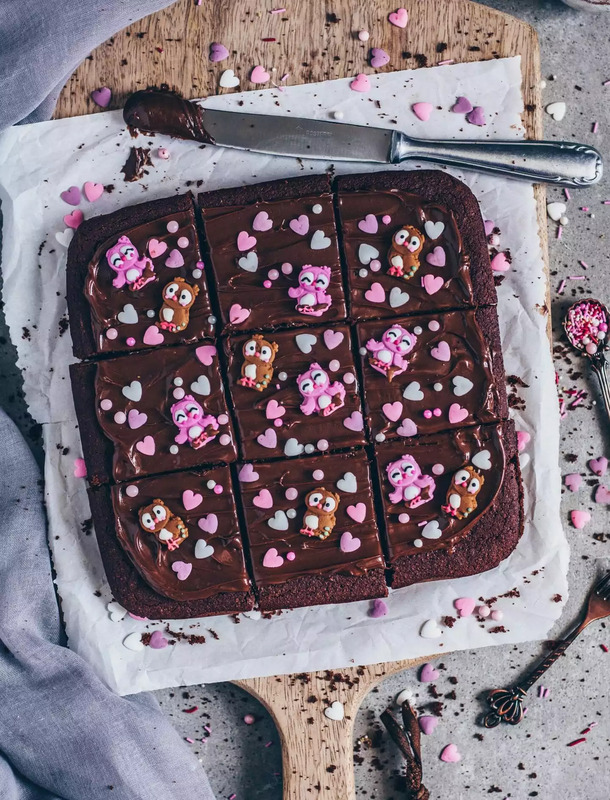 To make these vegan brownies, you need just a few simple basic ingredients you might already have at home. You do not require eggs, white sugar or any other dairy products or unhealthy ingredients. To substitute eggs, I simply used flax-eggs. Instead of vegan plant-based butter, you can also use coconut oil. I usually use all-purpose wheat flour or spelt flour but you can also substitute a gluten-free flour blend (1:1). As sweetener I added a combination of organic cane sugar and maple syrup but coconut sugar or agave syrup works great, too. All you need to do is to combine the wet with the dry ingredients. 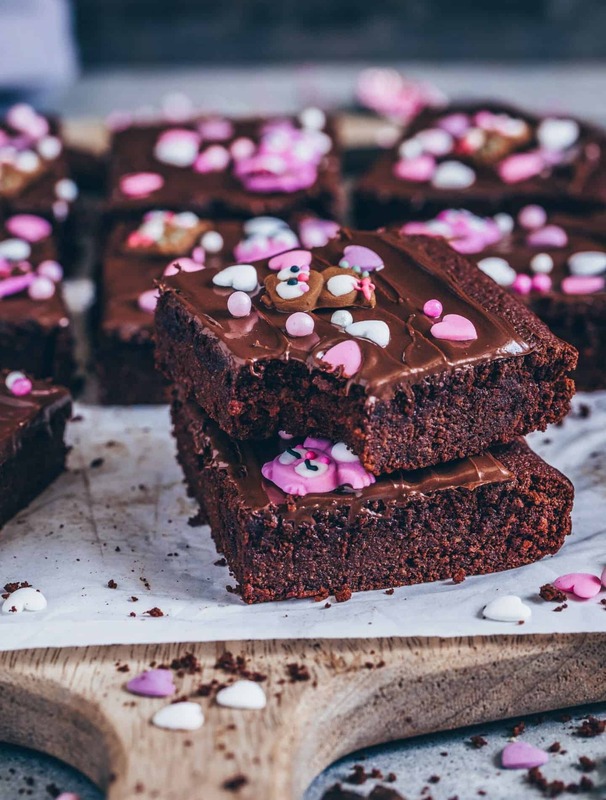 Simply melt your favorite chocolate, mix and bake. It couldn’t be simpler. 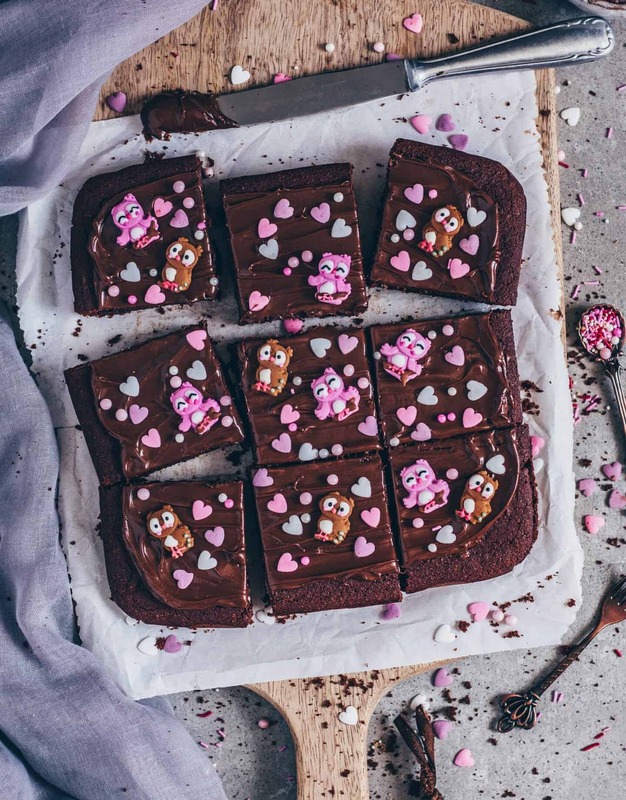 If these vegan brownies were not chocolatey and decadent enough for you, simply spread the vegan chocolate cream frosting or any other spreads/ frostings you like on top. To make them look prettier, garnish with some sweet sugar sprinkles or fresh berries. But you can, of course, keep them just plain because they are delicious on their own. When serving, you can spread some peanut butter or any other nut butter you like on top of your piece. It tastes also great with a big scoop of vegan ice cream + a drizzle of vegan caramel or chocolate sauce. Served with coconut yogurt or whipped coconut cream and a cup of coffee or a glass of fresh plant-based milk, it makes also a delicious sweet and quick breakfast snack. Anyways, these vegan brownies taste absolutely to die for. 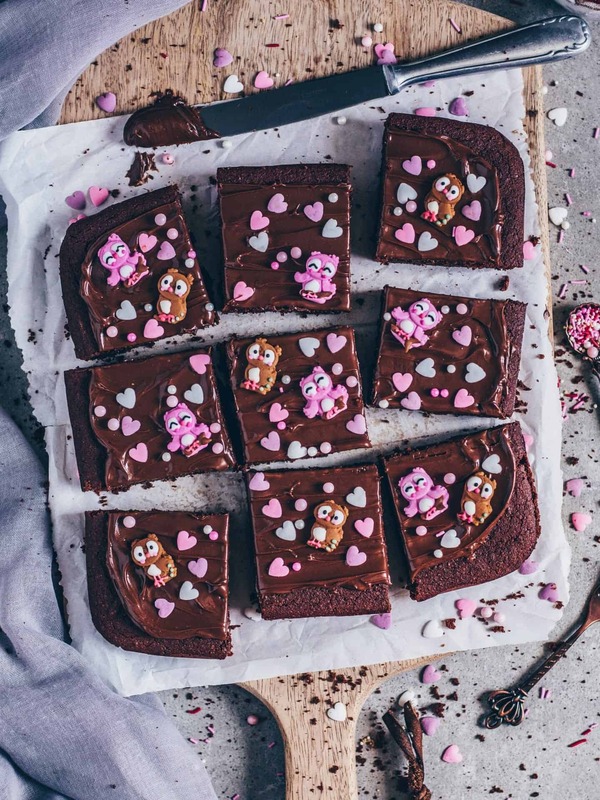 So if you are in the mood for chocolate, this quick and simple vegan chocolate brownie recipe is sure to satisfy! 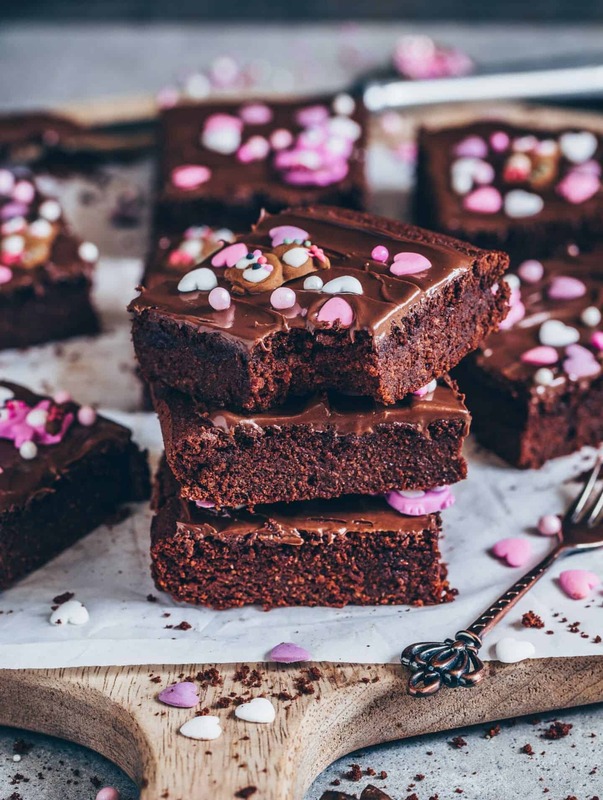 Easy vegan brownies made with simple ingredients in only 20 minutes. They're delicious, moist, rich with chocolate flavor, and perfect for any occasion. Prepare the flax eggs by mixing 2 tbsp ground flaxseeds with 5 tbsp hot water in a small bowl. Leave for 15 minutes to set. Preheat the oven to 180°C (160°C fan assisted) / 355°F and grease an 8x8-inch baking dish with coconut oil, then line with parchment paper (the oil helps the parchment paper stick to the sides). In a bowl mix the flour, ground almonds, baking powder and salt. Melt chopped chocolate over a water bath (or microwave) and stir in the vegan butter, peanut butter, cocoa powder and plant-based milk to combine. Add the sugar and syrup to the melted chocolate mixture and whisk well until dissolved. Then add the flax eggs and the vanilla and whisk until smooth. Sift the flour mixture over the wet ingredients and fold with a spatula until just combined. (Add more milk/ flour, if needed). Transfer into the prepared baking dish and smooth out. Bake for approx. 20 minutes, or until a tooth pick (cake tester) comes out almost clean. They may appear slightly under-baked, which means they're fudgy and rich. Once the brownies are done, leave to cool. To make the frosting, melt oil in a pot (or microwave). Add nut butter, maple syrup and cocoa powder. Stir until well combined. I usually use all-purpose wheat flour or spelt flour but you can also sub gluten-free flour blend. Instead of ground almonds, you can also use almond meal, or any other ground nuts/ meal, or sub more all-purpose flour. The brownies taste great on their own but feel free to spread the vegan chocolate cream frosting on top. Or serve with a scoop of vegan ice cream + a drizzle of chocolate sauce or caramel sauce, or with coconut whipped cream. They tasted really amazing, but turned out very crumbly. Couldnt lift up a piece without it falling apart. Not sure if it is because I used chia eggs instead of flaxseed.